1827 – Account of Joseph Smith, Sr., and Joseph Smith, Jr., given to Willard Chase, as related in his 1833 affidavit. Several years before obtaining the plates, a spirit appeared to Joseph in a vision telling him of a record on gold plates. When Joseph went to get the plates the spirit, transforming from toad to man, struck Joseph twice and gave him instructions to come back again in a year, a command repeated several years in a row. Approximate age 17 (1823) when spirit first appears. Joseph obtains gold book using the seer stone he found in the well of Willard Chase. 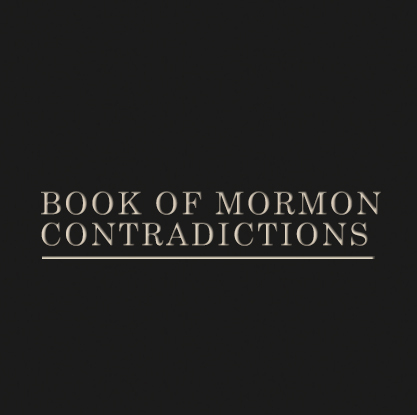 Joseph approaches Martin Harris, a man with money, to say that God has given Joseph a commandment that Harris is the one God wants to assist [financially] in producing the Book of Mormon. 1827 — Account of Martin Harris given to the Rev. John A. Clark, as related in his 1842 book Gleanings by the Way, W.J. & J.K. Simon, pp. 222ff. [Microfilm copy]. After an evening of money-digging an angel appeared to Joseph in a vision telling him he has been chosen to be a prophet and bring forth a record on gold plates. Before Joseph can get them he must go to Pennsylvania to meet the woman who will be his wife. After marrying her Joseph must wait until the birth of his first child. Once the child had completed his second year Joseph could get the chest with the gold book. Joseph and his father disobey the angel and look for the chest using Joseph’s clairvoyance. They find it but the angel appears, Joseph knocked is to the ground and severely reprimanded. A little later another divine communication tells Joseph he can go alone to get the chest, bring it home but not open it until his son is two years old. Joseph would dictate words to Harris, while looking through the stones, but Joseph and Harris had to be separated by a suspended blanket during the dictation process. 1834-35 — Oliver Cowdery, with Joseph Smith’s help, published the first history of Mormonism in the LDS periodical Messenger and Advocate, Kirtland, Ohio, Dec. 1834, vol.1, no.3. Desired to know if a Supreme being did exist, and wanted manifestation that his sins were forgiven. 1835-36 — Account, Joseph Smith Diary, Nov. 9, 1835 as found in Personal Writings of Joseph Smith, compiled by Dean C. Jessee, pp. 75-77; also in An American Prophet’s Record, p. 51. 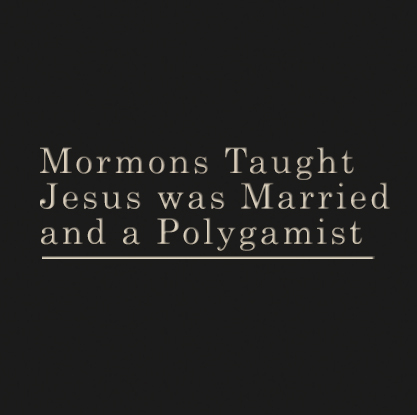 1835 — Account given by Joseph Smith to Erastus Holmes on November 14, 1835, originally published in the Deseret News of Saturday May 29, 1852, later published in the History of the Church, vol. 2, p. 312. It parallels the previously cited account and lends support to the view that the dual personages in the 1835 diary account should be understood to be angels who affirm the Sonship of Jesus Christ rather than the Father and the Son.